In addition, many Pinterest users have no idea how to optimize their Pins so that the correct description gets picked up by Pinterest’s share buttons. Here’s a comparison of how your description appears if you’ve optimized your Pins properly as opposed to not using the proper code. The Pin on the left was hard coded using the piece of code below. I save it in a text file and modify it for each Pin. Note: If you’re confused by what “YOUR PIN ID AFTER IT IS PINNED TO PINTEREST” means, it’s just the number I’ve highlighted in red below. This is your Pin ID that Pinterest assigns to your Pin AFTER you share the image on Pinterest. Click here to see how the URL above looks on Pinterest. You need to copy and paste this number into the code for your Pin, by going back and editing your blog post and then saving the post again. That way, whenever someone shares this Pin from your blog post, they will end up sharing the Pin that you chose so this pin will get more shares and more chance of going viral on Pinterest. The code above also helps me ensure that the correct description gets picked up by Pinterest. 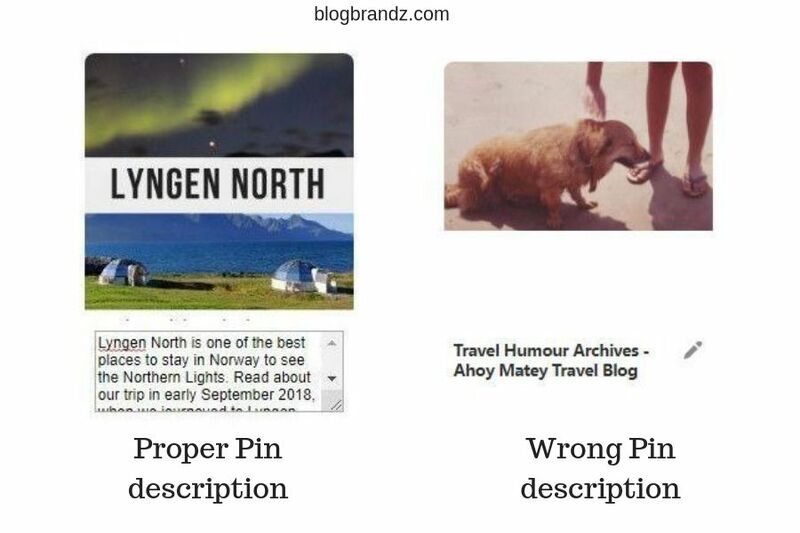 The image on the right shows how Pins that are not properly coded get picked up by Pinterest. Which one would you rather share? You can either add the code above manually or automate the process of adding it with the WPTasty plugin for WordPress. This will help you prevent errors that creep in when doing this manually (which happens pretty often). Pin descriptions can be up to 500 characters in length, but you don’t have to use up all of that space. According to the blog here, the most repinned and commented on items have descriptions of 200 to 300 words. DO NOT keyword stuff your descriptions. I see Pinterest users making this mistake all the time. If keyword stuffing didn’t work for Google SEO, it will cease to work on Pinterest too. When that happens, can you go back and change the spammy descriptions on all your old pins? No, you can’t! Use SEO copywriting best practices to write Pinterest Pin descriptions that both users and Pinterest loves. Here’s an example of what you can put in your Pin description according to the code above. According to Pinterest, to pick keywords, think about who you want to see your Pin, and where you want it to appear. You can also start typing your topic into Pinterest search to see recommended topics. To find the right keywords to add in my description, I use the Pinterest Search feature so I can use the ones that Pinterest users are actually typing into the search bar, and to find the most appropriate keywords for my content. Pinterest keywords are not necessarily the same as the keywords that people type in on Google. It bears repeating that Pinterest favours a 2:3 aspect ratio in your Pins and that the preferred Pin size is 600 x 900 pixels. Still, I see Pinterest users Pinning square and horizontal Pins all the time. If you want your Pins to be displayed properly on mobile devices (which is where 80% of all Pinterest searches happen), you need to use Pinterest’s recommended aspect ratio for your Pins. This is the ideal anatomy of a Pin, according to Pinterest. Now, this may be a personal bugbear of mine, but I hate it when people put their Pin overlay text at the bottom of the Pin because it forces me to scroll down to read the text so I can figure out which board to pin it to. Why on earth would you make it harder for Pinners to Repin your Pins? If you do that, you’re bound to get fewer Repins and less engagement. Please don’t make me scroll, people! I’ve been guilty of this mistake too. Sometimes it’s too much trouble to create another Pin for your post when you just spent 30 minutes creating the perfect one. 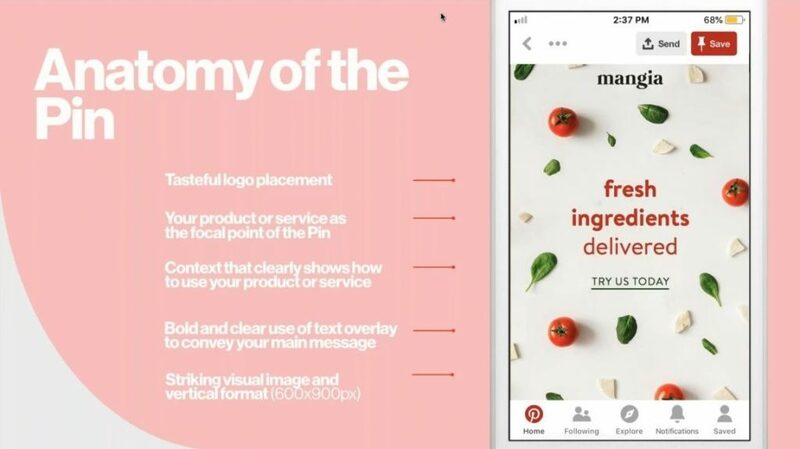 But creating more than one Pin not only gives you fresh content to Pin (every new Pin image is fresh content in Pinterest’s eyes), but also allows you to test which designs are doing better than others. For example, I created these 3 Pins for one of my posts before I found that the one in the middle was performing best. Arrgh! I hate when I click on a blog post that I need to share (since I participate in a number of Facebook groups with sharing threads for Pinterest) and have to search for the sharing buttons to share a post. If you don’t have easily accessible sharing buttons on your blog, no one’s going to bother looking for them unless they have to. 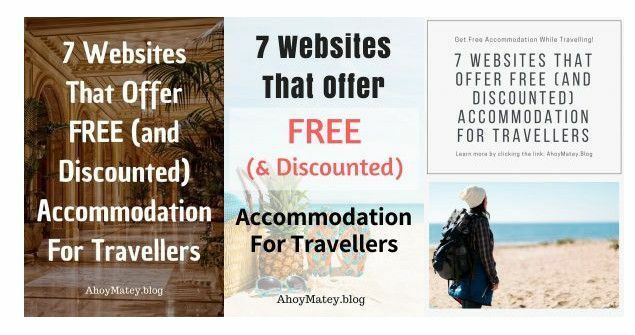 I don’t understand why that isn’t obvious to other bloggers too, especially when it’s so easy to set up a floating share bar on your blog with free WordPress plugins like AddToAny. Now I know that a lot of bloggers love to use plugins like Social Warfare to hide Pins on their blog and I have to wonder why. 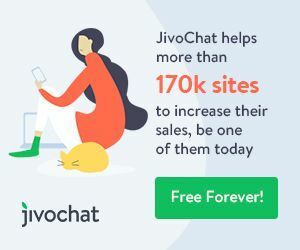 I mean, you’ve gone to all that trouble of creating a bunch of beautiful, Pinnable images for your blog post and you can easily display all of them at the bottom making it easy for readers to click on the one they like best. So, why would you hide them and make it harder for Pinterest users to find them? I’ve never understood why bloggers would be ashamed to display something they spent so much time and effort slaving over just because they think it makes their blog look a bit cluttered. Here’s a revelation – it doesn’t make your blog look cluttered if you do it right. And how are you making it easier for readers to Pin your posts when they can’t even see your beautiful Pinnable images until they click the share button? 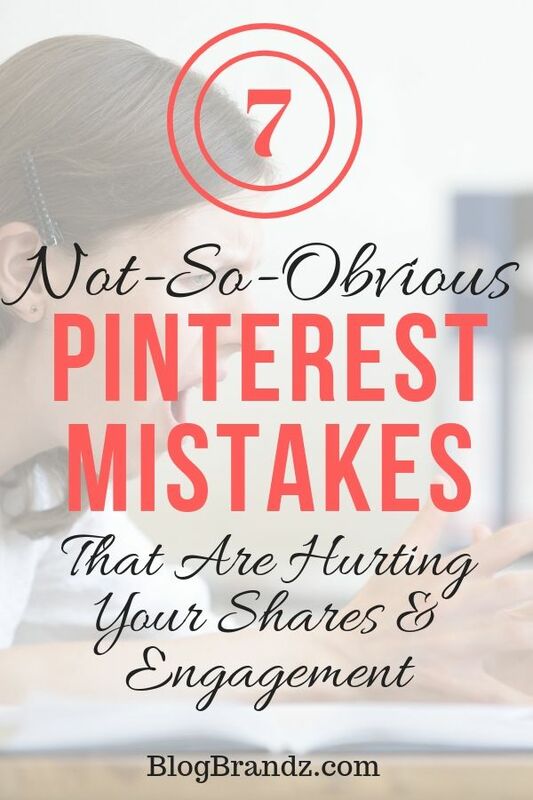 Are you making any of these Pinterest mistakes on your blog? If so, I hope you found this list useful. Want to take your Pinterest Marketing to the next level? Learn from the experts who get 100,000+ monthly visitors from Pinterest. I have read different articles on instagram and pinterest marketing advices but this is a really insightful article. Really enjoyed reading it, especially the points number 5 and 6. Usually I try to avoid testing various pins as it just adds up to work and same with CTA buttons, guess I have to start making efforts for the same. Thanks for sharing these tips. 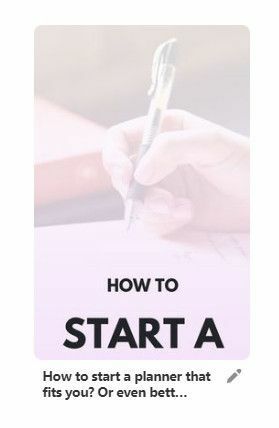 Pretty detailed tips Priya, have read many blog posts on pinterest marketing but the tips here are really useful especially for who are starting new on pinterest. Can you explain this a little further? What is the data pin? Thank you for your feedback, Bibi. I will add some more information to the article to help you understand that. Please bookmark it and check back in a while.